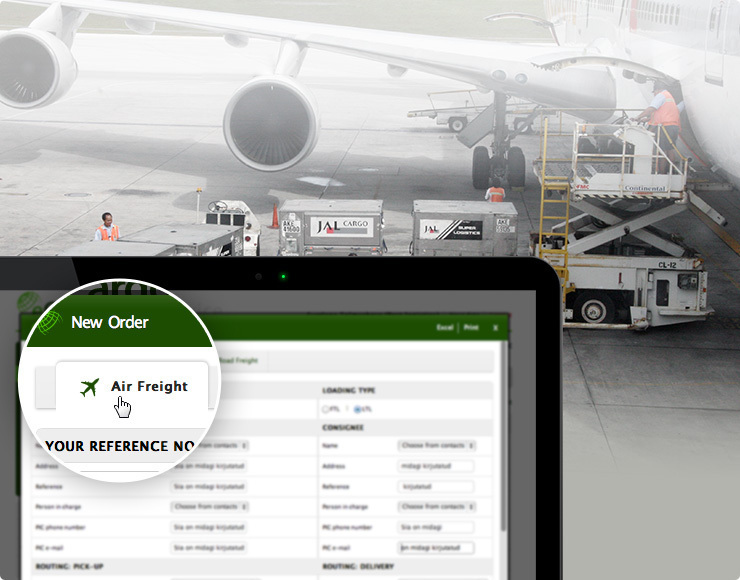 Make your air freight order easy and quickly in your Account via our free web-based system. Make your sea freight order easy and quickly in your Account via our free web-based system. Make your European road freight order easy and quickly in your Account via our free web-based system. Insure your cargo by one click in your Account via our free web-based system. Issue the loading lists by one click in your Account via our free web-based system. Order the issuance of EU export customs declaration in your Account via our free web-based system.